A UK law society has stepped up its pursuit of the Sun and its ‘Nazi propaganda’ spouting columnist Katie Hopkins over alleged anti-migrant hate speech, referring both to a powerful international court usually reserved for war criminals. The Society of Black Lawyers, which originally reported the column written by Hopkins and published by the Sun just hours before 800 migrants drowned in the Mediterranean, has referred the case to the International Criminal Court (ICC). “The case is an exceptionally strong one as the incitement of racial hatred in Hopkins’ unfounded rant illustrated her xenophobic views on the issue surrounding migrants in general,” SBL committee member Shireen Khan told RT. Khan is confident the ICC, which is best known for investigating atrocities in the Balkans and Africa, will take SBL’s referral very seriously. “I believe that the ICC will take up this case fully as they have a duty to investigate such matters especially the seriousness of this case, which is further emphasized by the UN High Commissioner for Human Rights’ endorsement of our report. Khan said the legitimization of anti-immigrant rhetoric under the banner of free speech was a scourge that had become all too common. 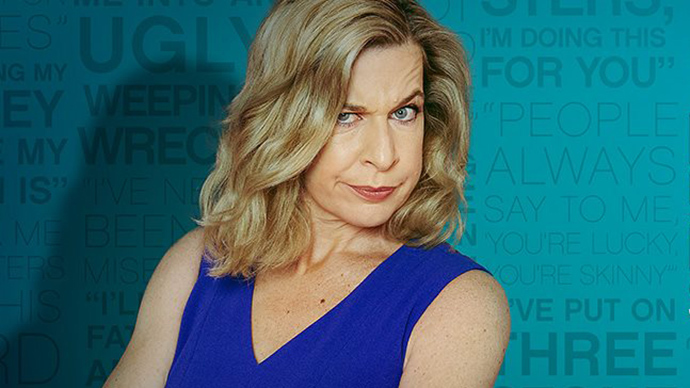 She pointed out that Hopkins’ controversial views proved infectious in some quarters, saying they were almost immediately echoed on LBC radio. “Katie Hopkins’ column was published in the paper but it was then echoed in a viscous, xenophobic and racist tirade on radio, which led to exposure to further parts of society who may be disillusioned in thinking that immigrants are the cause of all destruction our country is facing. She blasted reactionary anti-immigrant elements within UK politics, arguing they were to blame for creating the political space in which such views could be aired without due criticism. Khan also pointed to the economic situation as a driver in the rise of prejudice and xenophobia. Besides the domestic economic and political context, Khan said Britain’s foreign policy continued to be a major factor in migration. “British foreign policy has an enormous role to play in people seeking refuge here. “Britain were [sic] involved in the intervention of Libya, [but] left them to their devices in the middle of a civil war with no help afforded to re-build their nation. In June, the SBL are planning to send a fact-finding delegation to Lampedusa, Italy, where many refuges and migrants ended up.